TWINED-album had been released 11th of October 2017 in Helsinki, Finland and will be released in Germany, Austria, Switzerland, Benelux and Portugal in November 2017 and in UK and Ireland in December 2017 by Nordic Notes. 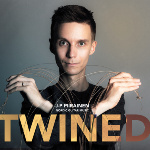 A ”Twined”-album combines powerful grooves and joyful melodies. 1000 years of music tradition and history speaked via modern and one of the most popular instruments of the world. 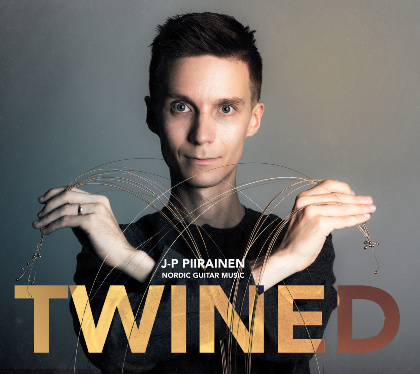 Twined is full of stories, that J-P Piirainen want to share with listeners. For this album he has composed both Nordic dance tunes and contemporary fingerstyle guitar tunes as he has studied the relationship between these two genres that Ihe loves. Twine: "A strong thread or string composed of two or more strands twisted together." I have these strings in my hand. They're about joy and sorrow, moments of my life that I want share with you. These strings are twined into a musical travel and I hope you enjoy the ride! I know where these strings of life have come from and I can't wait where they are leading me.